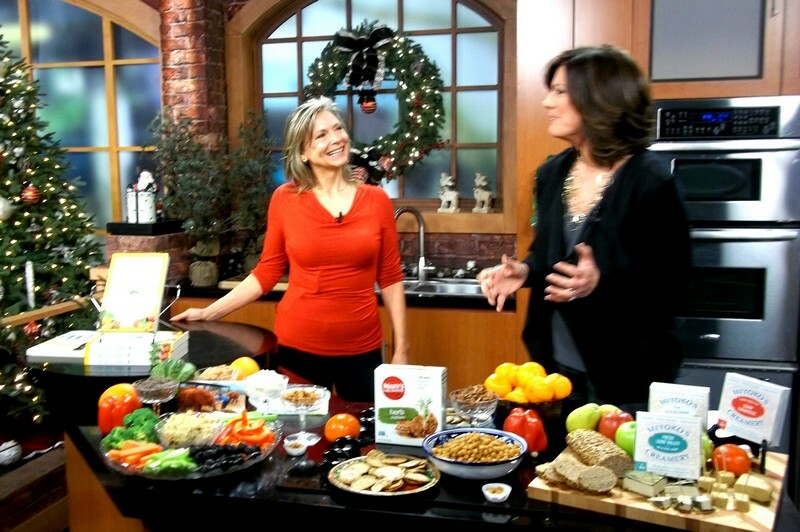 This week I was back on the set at CBS TV to show multiple examples of plant-based party snacks so you can lighten up the holiday parties with plant-based hors d’oeuvres. 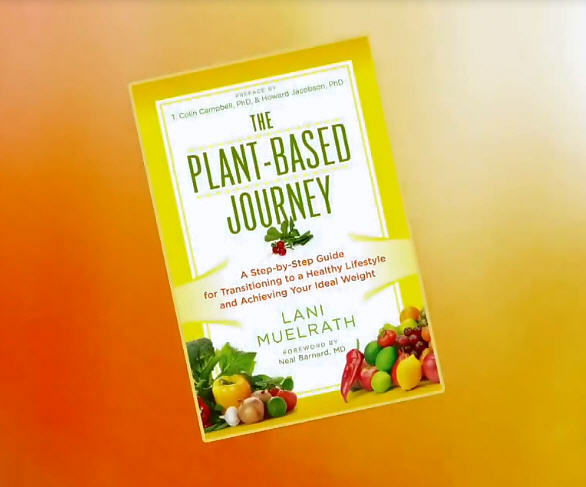 Double click on the video to enjoy this four minute presentation including taste tests and recipes from The Plant-Based Journey. 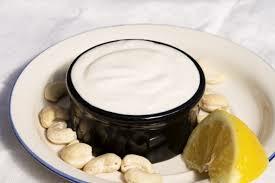 Program notes and recipe for Vegan Sour Cream follow. Tis the season for the holiday party! Yet once you walk in the door, the first thing you’re hit with is bacon-wrapped everything that’s usually been dipped in something and fried five times- – or worse. And then there are the chips, and the processed foods, and the sour cream – a big wall of fat, cholesterol, calories, and animal products. By the time you get to the dinner table for the actual meal, you’ve already eaten sufficient calories for an entire meal. Or two. 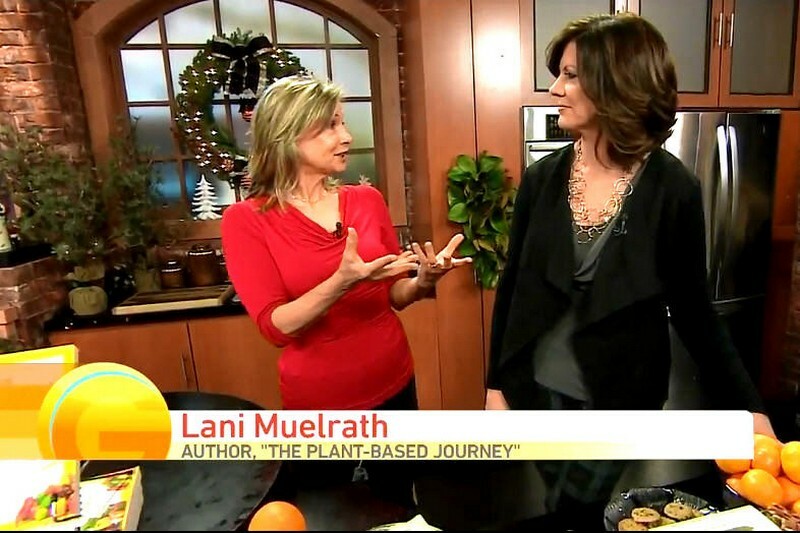 Today on Good Day Sacramento Marianne is with Lani Muelrath who shows several plant based party snacks from The Plant-Based Journey. The good news is that you can quickly create delicious and simple healthy, plant-based party foods that everyone will enjoy. And because they are whole foods and full of fiber, your natural fullness signals will kick in a few thousand calories earlier than the traditional alternative – and give you good nutrition at the same time. Soaking the cashews in water for a few hours will reduce blending time. I combine all the ingredients in high powered blender (I use my food processor) and blend until smooth and creamy. Allow the mixture to chill for 1 hour to become thick. I wish I’d invented this recipe, but I can’t take the credit. It comes to you courtesy of my friend of Kim Campbell from her collection in The Plant-Pure Nation Cookbook. When I asked Kim if I could use her recipe in my 7 Sauces That Sizzle collection, luckily for us, she said yes! I drizzle this over enchiladas (a perfect compliment to the Turtle Beach Enchilada Sauce on page 6 of Seven Sauces that Sizzle), beans over whole grains, or drizzled into Tacos in No Time or Speedy Burritos (recipes in The Plant-Based Journey). You can eat whole plant foods and still have the cheese tray – just get the variety that’s made from whole plant foods, such as those from Miyoko’s Kitchen. Made from cashews, this cultured not product edges out dairy cheese : tasty, healthy, and cruelty free. Other tips: Mary’s Crackers are whole food, gluten free, and are hardy enough to stand up to dips like my Chunky Chickpea Hummus. Add the veggie tray, mandarins, apples, pears and other seasonal fruit, and build a beautiful and delicious display. Lani, this is spectacular! I hadn’t seen the other 2 shows from before so thank you for putting those links in at the bottom. The set looks so colorful and your relaxed enthusiasm is so inviting. You’re a natural! Are you going to be doing more of these? I just discovered your blog so I am excited about reading more here. Carson, so nice to meet you and thank you! How did our paths cross by the way? So glad you like the CBS segment and found the others. And yes, I’ve been asked to come back again in January!